Following two investigations by the U.S. Department of Labor’s Occupational Safety and Health Administration in Chicago and Pittsburgh, Norfolk Southern Railway Co. was found to have violated the whistleblower provisions of the Federal Railroad Safety Act for wrongfully firing three employees who reported workplace injuries. OSHA has ordered the company to pay $1.1 million in damages for the violations. In addition, the company has been ordered to expunge the disciplinary records of the three whistleblowers. The company is also ordered to post a notice regarding employees’ whistleblower protection rights under the FRSA and to train workers on these rights. One of the employees whose termination OSHA investigated was a crane operator based in Fort Wayne, Indiana. The employee reported an eye injury which occurred while he was operating a crane at a bridge-building operation. The injury required the extraction of a sliver of metal and rust ring from his eye. After reporting the injury to the company, the employee was taken out of service, and then terminated on August 24, 2010 based on an internal investigation which determined he had made false statements concerning his injury. The OSHA investigation found that the worker’s termination came as a result of reporting his injury and has ordered Norfolk Southern Railway Co. to pay him $100,000 in compensatory damages for pain and suffering, $175,000 in punitive damages, and $156,518.94 in back wages. In addition, the company must pay the worker $6,072.76 to compensate for penalties on savings bonds he had to cash before their maturity date after he was terminated. The company also has to pay the attorney fees and reinstate the worker to the proper seniority level, and give him the vacation and sick days he would have earned had he been continuously employed. The company has to pay a total of $437,591.70 in damages. The second OSHA investigation involved a welder and a welder’s helper who were based in Pennsylvania both of whom were injured in an accident caused by another vehicle when they were driving in a company truck. Both workers had been employed with the railroad company for more than 36 years and had spotless records. OSHA’s investigation found that the employees were terminated because they had reported their injuries to management. The employees had at first reported shoulder pain, stiffness, and soreness. Initially, they declined medical treatment, but when their pain increased, they sought treatment at a local hospital. 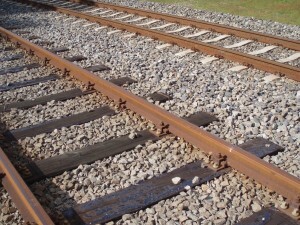 The railroad company took the workers out of service pending an investigative hearing which concluded that the employees had given false and conflicting reports on their conditions. The hearing concluded that this constituted misconduct and both employees were formally terminated. OSHA has ordered Norfolk Southern Railway Co. to pay the workers $300,000 in punitive damages, $233,508 in lost wages, benefits and out-of-pocket expenses, and $150,000 in compensatory damages for pain and suffering. In addition, the company must pay reasonable attorney fees for the workers and interest on back pay until the employees are receive payment. The total of the damages the company must pay is $683,508. Over the past two years, OSHA has issued Norfolk Southern Railway Co. several other orders for similar violations. Investigations found that the company continues to retaliate against workers fro reporting work-related injuries. Norfolk Southern Railway, Co., based in Norfolk, Virginia, employs more than 30,000 workers worldwide. The company and other parties in these cases have 30 days to file an appeal with the Labor Department’s Office of Administrative Law Judges.